Doolin is the place to be on St Patricks day! 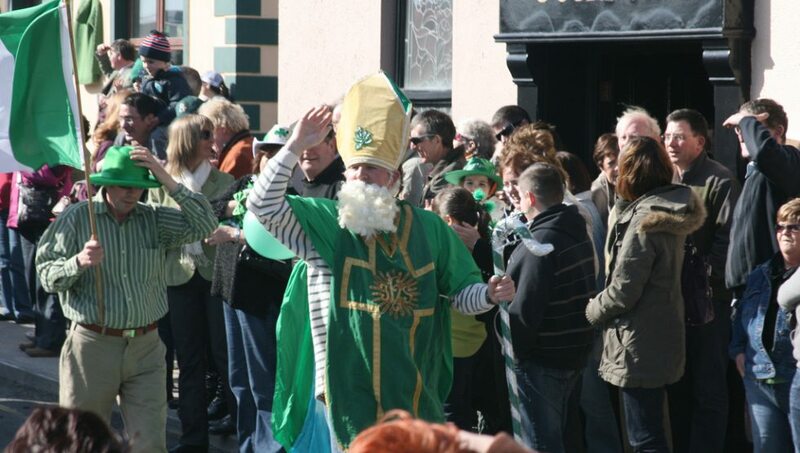 The annual St.Patricks Day parade makes its way through Doolin on the saints national day March 17th. The parade usually starts at Doolin Pier around 2:00pm. It makes its way down Fisherstreet, and through Doolin to Roadford and finishes up at the Russell Community Centre. The parade is enjoyed by locals & tourists alike; with an entertaining mix of floats ranging from school children playing trad music to topical sketches. There are many places along the route to stand & watch but traditionally people gather in front of each of the village pubs, where afterward they enjoy warm food, great company & the best music. Don’t forget to wear something green!